Lava Hot Springs bed and breakfast travel guide for romantic, historic and adventure b&b's. 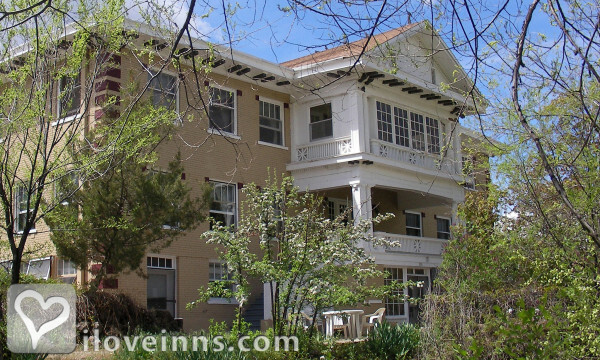 Browse through the iLoveInns.com database of Lava Hot Springs, Idaho bed and breakfasts and country inns to find detailed listings that include room rates, special deals and area activities. You can click on the 'check rates and availability' button to contact the innkeeper. Lava Hot Springs takes pride in the hot springs that are situated in the city itself. Due to their presence, Lava Hot Springs has gained a reputation as a resort and spa town. The hot springs provide clean and mineral-laden water. These are perfect for people who want to relax. The Olympic Swimming Complex, on the other hand, is perfect for swimming with its cool, clean, and refreshing waters. This is the favorite of families living in Bannock County, of which Lava Hot Springs is a part, and Pocatello. There are Lava Hot Springs bed and breakfast inns available for lodging. By Lions Gate Manor. Lava Hot Springs is a small, quaint mountain town located in SE Idaho between Salt Lake City & Jackson Hole/Yellowstone National Park. The town is world renown for its natural hot mineral springs and impeccable soaking facilities. Lava Hot Springs is the perfect place to rejuvenate: soak, spa, sip and savor. By Riverside Hot Springs Inn & Spa.